Belize NMS: Fair, warm and dry conditions will continue today and tonight. A weak cold front crosses Tuesday night then a return to mainly fair and dry weather. 24-hour forecast: Mostly sunny today partly cloudy tonight. Little or no rainfall is expected. 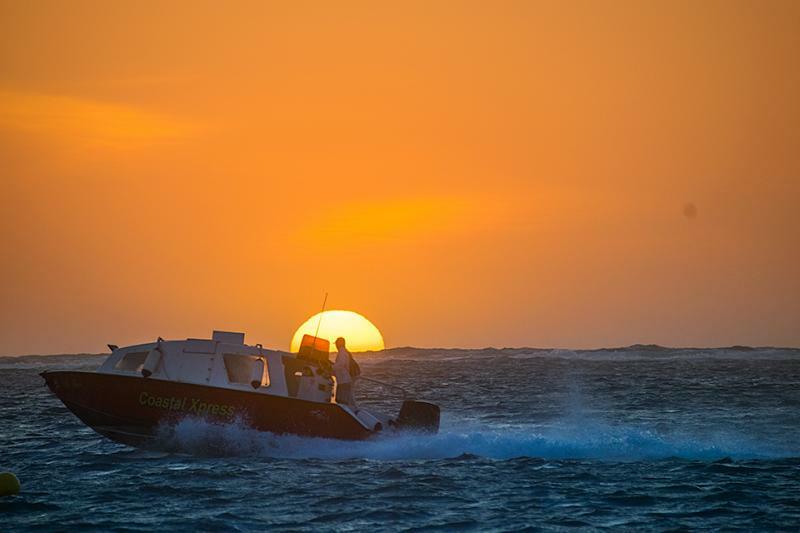 Today: Winds: E-SE 10-20 kts with occnl higher gusts; seas: Moderate-rough; waves: 5-7 ft; mainly dry. 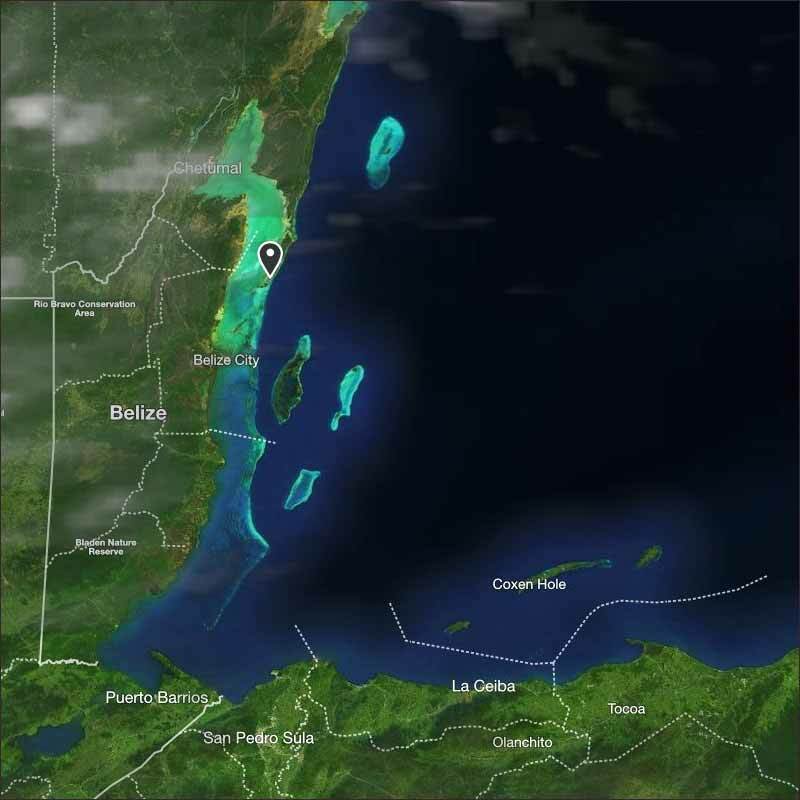 Tomorrow: Winds: E-SE 10-20 kts ; seas: Moderate - rough; waves: 4-7 ft; little or no rain. Marine Outlook: (Tuesday night) Winds: E-SE 10-20 kts ; seas: Choppy; waves: 3-4 ft; a few showers and isolated thunderstorms mainly south. General Outlook: (Tuesday afternoon and night) A few showers and isolated thunderstorms will develop over inland areas. On Ambergris Caye this morning the wind is howling from the SE at 17 mph and we won't be diving outside the Barrier Reef today. The expected high is 87. 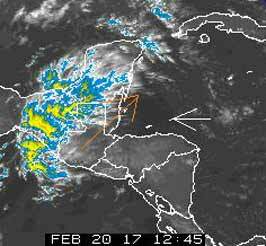 Another foggy morning, no significant cloud in the easterly Caribbean air flow, reduced cloud in the high level SW winds over Belize. Continuing the hot and humid weather. Again looks like when the fog lifts later this morning, will form white clouds and sunshine, no rain. Unfortunately we are already getting into the Dry season. January, despite all the mud around, only had about half the normal rain. February is getting close to normal, but normal for Feb, Mar, Apr and most of May is low rain totals. The vertical blue lines are the actual rain. The dashed blue line simply indicates the Monthly average. The dotted blue line joins the Typical Monthly triangles together. 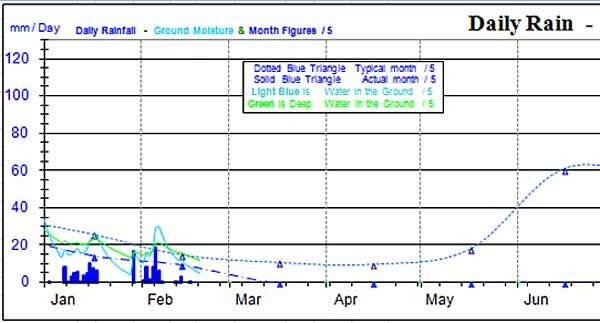 The light blue line gives a good idea of water in the ground near the surface, that is used by many small plants. The light green line gives indications of deep ground water that trees and large plants can access.